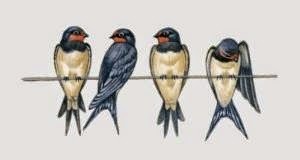 … the twittering swallow hangs its nest from the rafters. 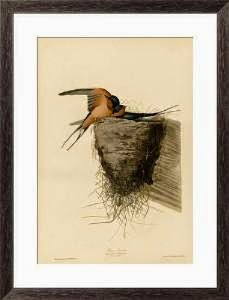 This means that people have shared their homes with Barn Swallows for over 2,000 years! These delightful little birds actually prefer to build their nests where people live. They appreciate our help in keeping predators away, and we appreciate them for consuming insects that fly around and pester us during the summer. And their babies are so cute! 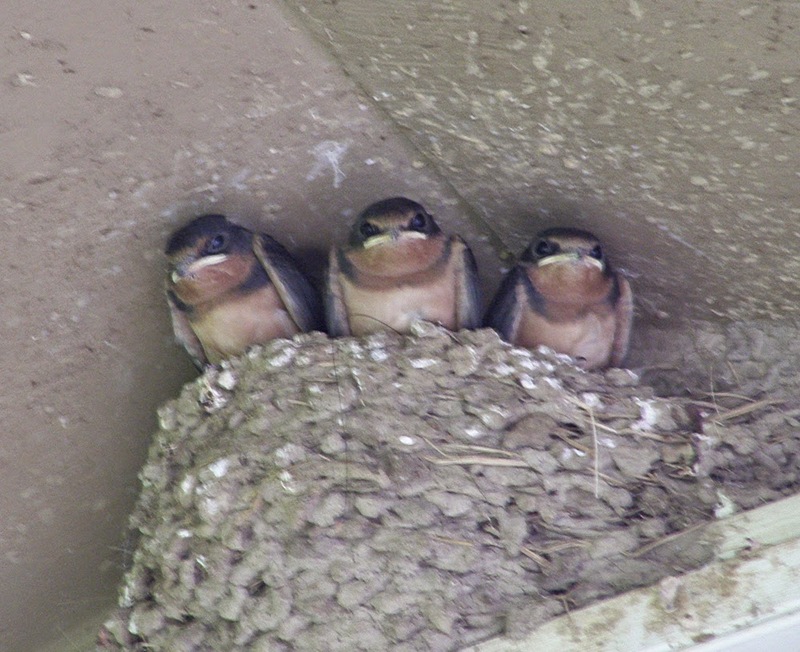 The babies pictured above were hatched in June 2014 on a nearby building on the property where I live. During 2011 and 2012, I had Barn Swallow babies right outside my door -- fourteen in all! 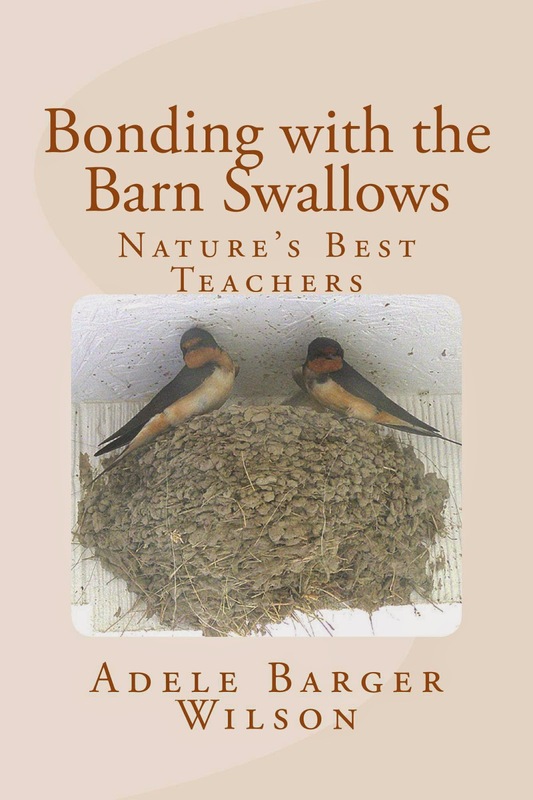 You can read all about them in my book, Bonding with the Barn Swallows. Would you agree that the two Barn Swallows pictured above are in love? This was the scene that greeted me when I opened my door early one June morning. The pair had built the nest with the help of their friends, and now they were ready to use it. I like to call this picture "the honeymooners". The mama-to-be is on the right side of the nest. She ended up laying five eggs, and the book tells all about the five babies who grew up in that nest and what happened when they left the nest to be on their own. And the story continues into the following spring. The nest was used again, with more babies growing up in it. Included in the book are many photos of both the babies and the parents. 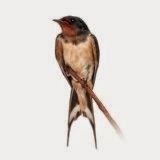 In the book I write about my intimacy with a special male Barn Swallow. I even named him! He actually communicated to me twice, once by twittering and another time by body language. His body language ended up being a prophecy because two days later, I discovered what he had been trying to tell me! It's all in the book. You can order the paperback edition from either Amazon US or Amazon UK. Below is the link for the ebook in the UK. Regrettably, it is not on sale right now, but will be in the future. If you follow this blog, you will find out when it goes on sale. All for now. In future posts, I will share what I have learned about these precious little birds.